Five pounds of our famous handmade peanut brittle. Made by hand, our peanut brittle contains the best ingredients with no artificial colors or dyes. Made in Michigan, this brittle will tickle your taste buds. Our handmade brittle is Gluten Free and has been voted Best Peanut Brittle. Order some of our amazing brittle today and see what everyone is talking about. Our brittle makes the perfect gift for all occasions, including birthdays, anniversaries, and more. ​This spectacular brittle combo is perfect for those of you that cannot make up your mind. 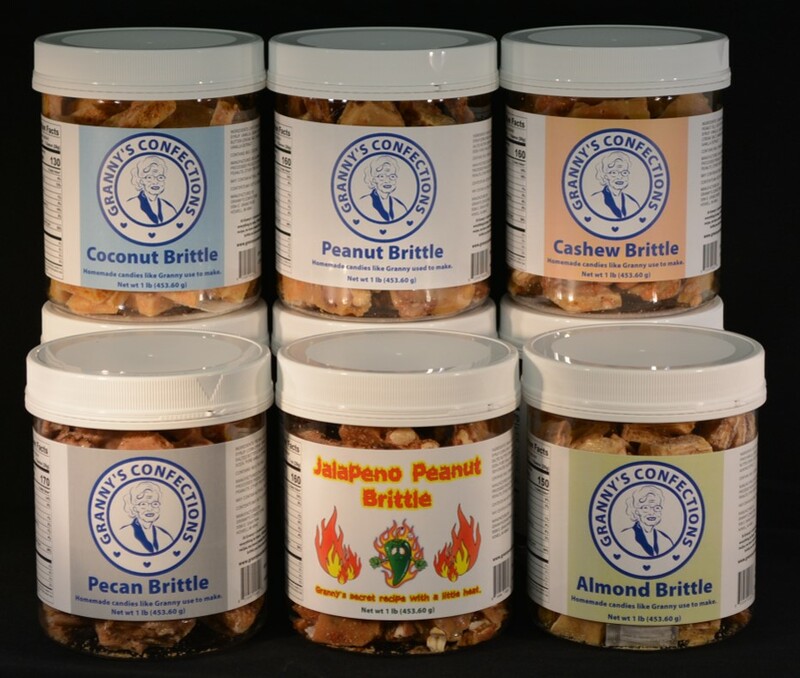 In this All Brittle Combo, you will receive one pound of peanut brittle, one pound jalapeno peanut brittle, one pound of pecan brittle, one pound of cashew brittle, one pound of almond brittle and one pound of coconut brittle. All of our brittle is hand made and is made only with the best ingredients. We never use artificial colors or dyes in our products. Our brittle is also gluten free.